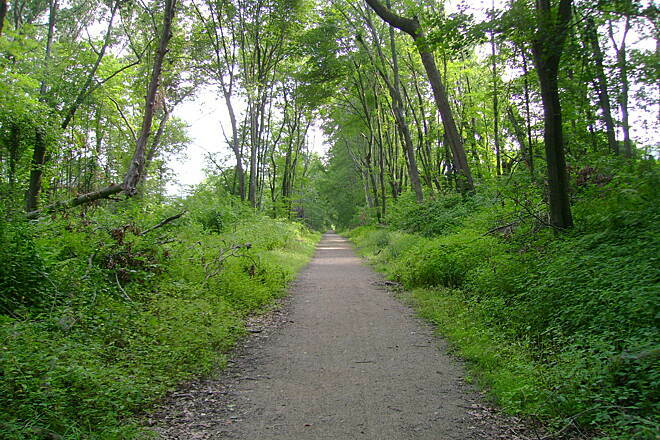 The Rockville Spur, a section of Vernon Rails-to-Trails, is a stone-dust rail-trail stretching 4.2 miles into the heart of historical Rockville. 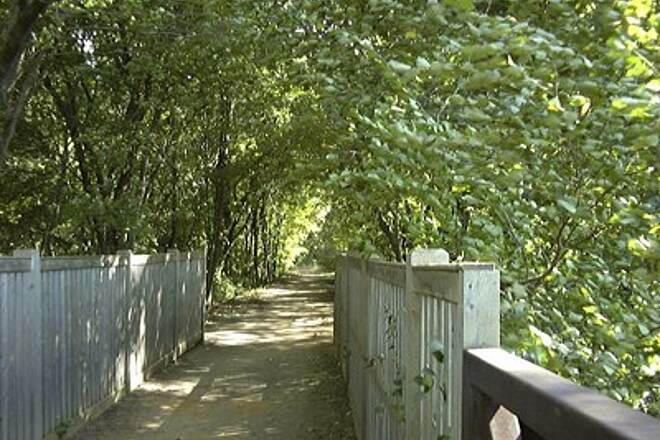 The trail begins on Warren Avenue in Vernon, but you’ll probably start your journey 0.2 mile away, at the Vernon Rails-to-Trails Park on Church Street. 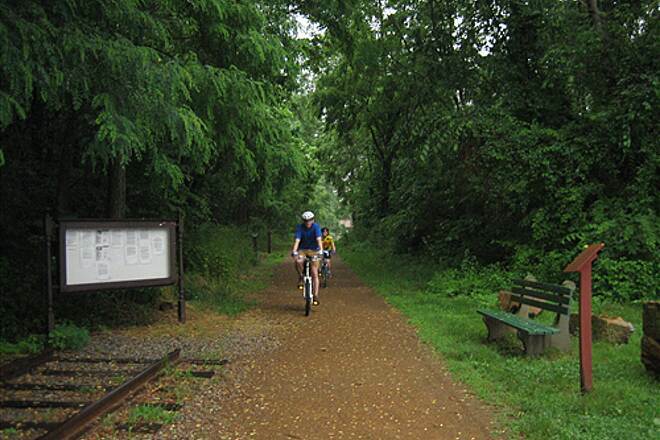 The park was once the site of a train depot and today serves as the trailhead for Vernon’s rail-trails, including the Rockville Spur. At this outdoor museum, panels tell the story of the Hartford, Providence & Fishkill Railroad, and remnants of the railroad bring the history to life. It’s here, for example, that you’ll learn that the Rockville Spur was constructed in 1863 to serve Rockville’s once booming textile industry. Once you’ve parked and sufficiently immersed yourself in history, it’s time to go. To get to the trail’s actual start point, just head west to Church Street’s intersection with Phoenix Street. Make a left onto Phoenix and then take the first right—that’s Warren Avenue. 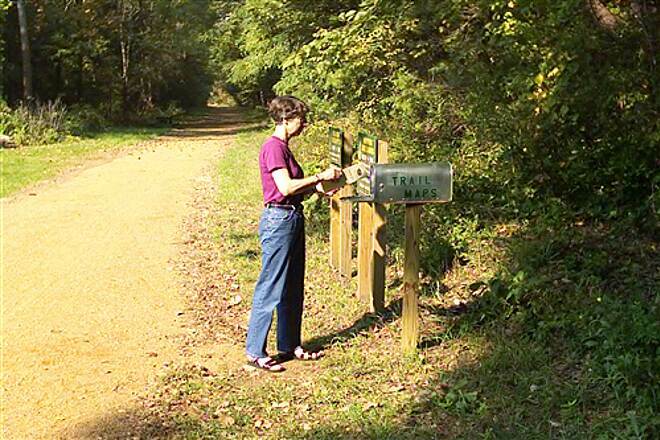 A signpost marks the beginning of the trail, and markers every 0.25 mile guide you along the way. 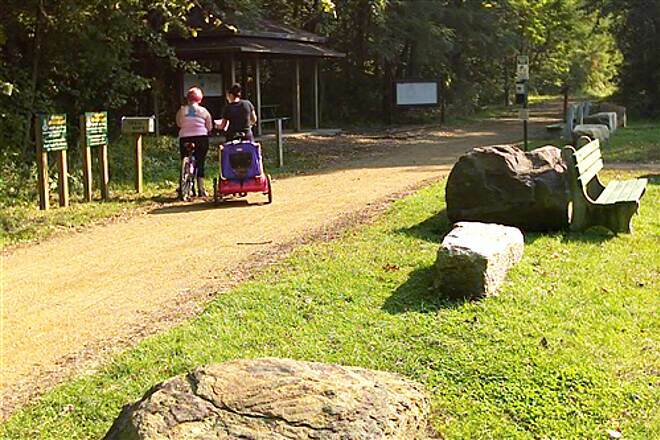 Note that if you’re up for more riding at the end of your journey, you can pick up another trail from the park: the 20-mile Hop River State Park Trail. 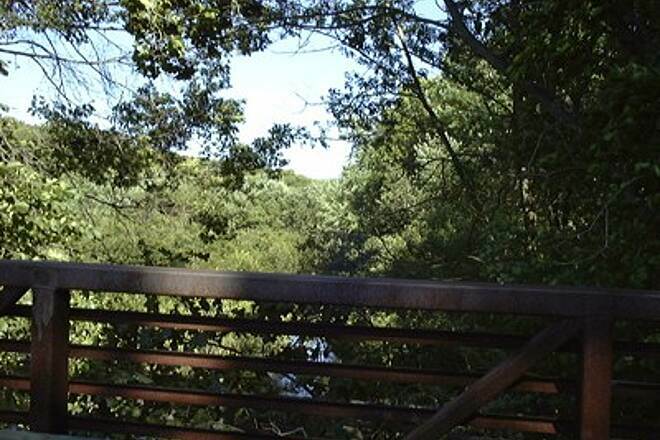 Once you’re on the spur, you’ll exchange the suburban scene for a serene wooded corridor. 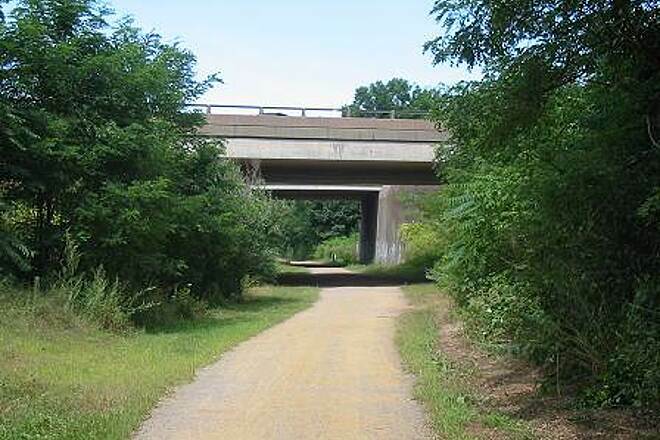 At about 0.25 mile, you’ll come to the Maple Avenue intersection, the first crossing of several along this trail. Each intersection may require patience because there are crosswalks but no signals. Once you’re across this street and back on the trail, you will come to one of the trail highlights: the bridge over the scenic Tankerhoosen River. 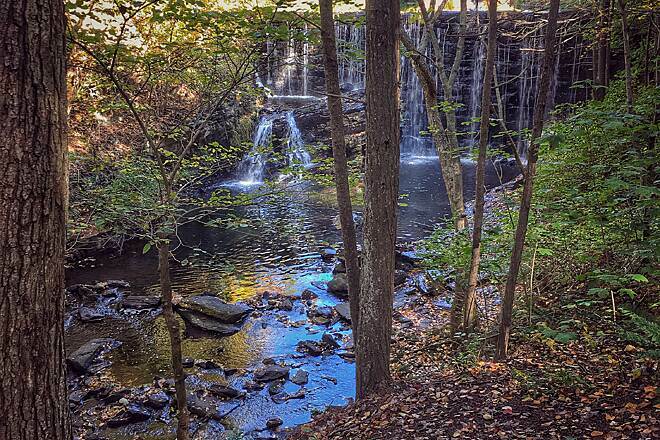 This waterway was the economic lifeblood of Rockville during the town’s industrial heyday. 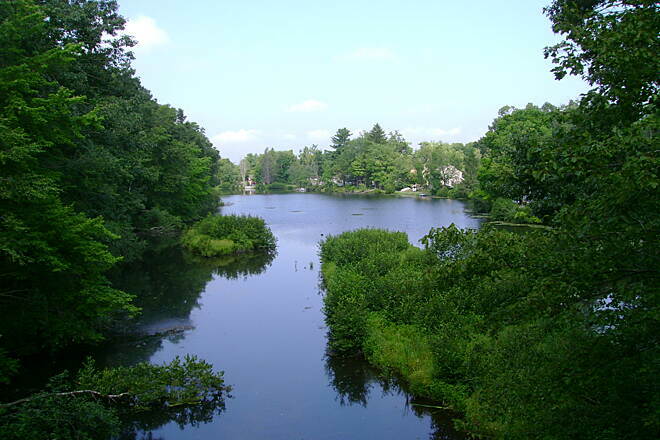 The view upriver, with trees crowding its banks, is Tankerhoosen Lake, one of seven ponds on the river. It’s worth pausing your journey at this point to take it all in. 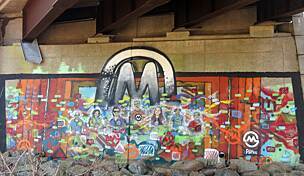 Continuing on, you will come to the I-84 underpass, the only road crossing not at grade. In the space between the tunnels, you’ll find another treat: murals bursting with color on the walls, the work of local artists and schoolchildren. The next intersection is across the busy CT 30 (Hartford Turnpike). The trail continues through the woods with unmarked paths feeding into it from nearby homes, proof of how popular this trail is with local residents. At the 3.25-mile mark (West Street), you’ll notice that the trail narrows into little more than a swath in the grass as it emerges into a residential neighborhood. Half a mile later, you’ll find yourself back in the woods where the path opens up again. Just shy of Vernon Avenue, the spur ends abruptly on an earthen mound atop an old bridge abutment. You can either retrace your steps back, or use the path on your left to go down the embankment (be careful; the soil is loose) onto Vernon Avenue. 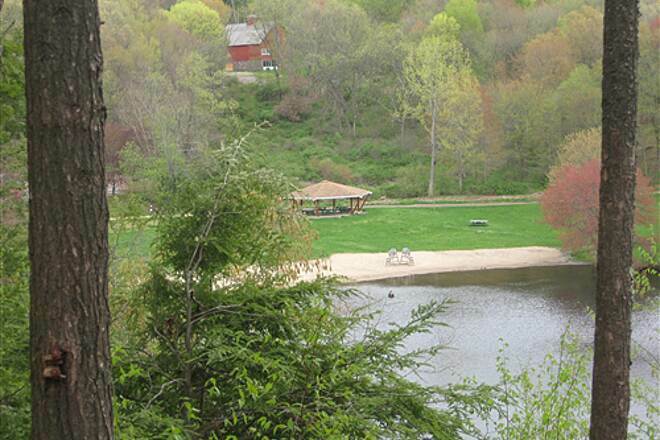 To reach the Church St. trailhead in Vernon, from I-84 E, take Exit 65 for CT 30 toward Vernon Center. Turn right onto CT 30, and in 0.2 mile turn right onto Dobson Road, which turns into Washington St. After 0.4 mile, make a slight left onto Church St. The Vernon Rails-to-Trails Park will be on your left and includes a parking area, benches and picnic tables, and the outdoor museum. From I-84 W, take Exit 65 and turn left onto CT 30. In 0.3 mile turn left onto Dobson Road and follow the directions above from there. Just rode this trail and I would not recommend the Rockville spur for anything but mountain bikes. There were some areas of loose gravel/dirt that were troublesome without knobby tires. The main trail , while wide, would be pretty scary with little kids since some parts of the trail east of the Church St. lot have some huge drop offs to either side. 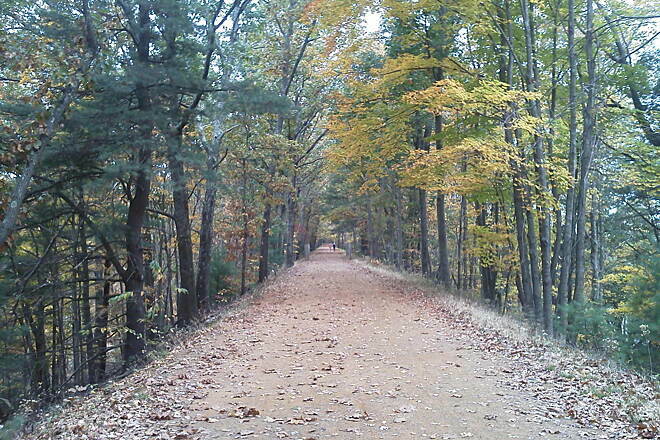 This is a nice wooded trail, but there are about 10 streets to cross. Mostly flat. A bit more uphill going north towards Rockville, so the return is a bit easier, which is nice. Went for a 20 mile (10 mile out and back) ride today from Kings Rd in Coventry (small pull-off there that can fit ~ 4 cars). The trail was really quite pleasant, with some nice scenery to view, including a winding river, some rocks, and valleys. Trail is densely packed dirt, mostly smooth. 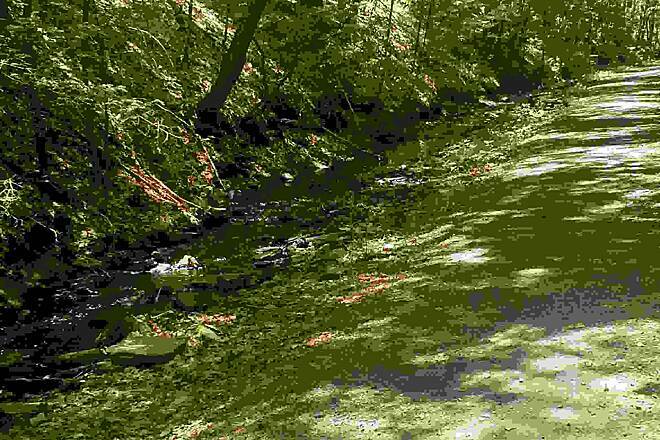 I rode my 29er mountain bike, and could have been fine on might slightly smaller tired cross bike, but the mountain bike was fine in the slightly damp conditions (fresh after a rainfall, I thought the trail was paved). Intersecting streets were spaced far enough apart as to not bother me for a casual ride. This trail is great. Started at Church street parking area and went east. Last year i rode the opposite direction and discovered the slight grade. And was a bit harder coming back. Last weekend a friend and myself rode all the way to Notch road and under the highway tunnel . We did some Geocaching along the way and found some trails leading to the higher peaks for fantastic views. 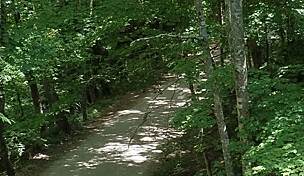 We did carry and push our bikes up those side trails for some through the woods down hill cycling. Id only recommend doing that if you are fit. Its a bit of a challenge. Love this trail and heading back this weekend with more friends. Hope to see you all there . Be safe . I rode this trail on my road bike as a detour from the nearby Hop River Trail. Beautiful scenery the entire time. 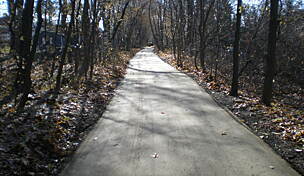 This trail combined with the Hop River Trail was a wonderful bike ride that I would highly recommend. 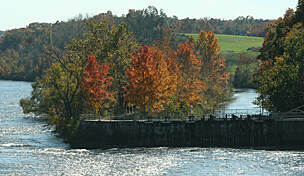 Attended the Rails to Trails meeting about a week ago. Never knew there were so many places to go in Vernon to hike. I was in the area of Church Street a day or two or ago. Thought I would look it trail in that area. I was greatly impressed. I like the information signs on what part of the Railroad line was located there. 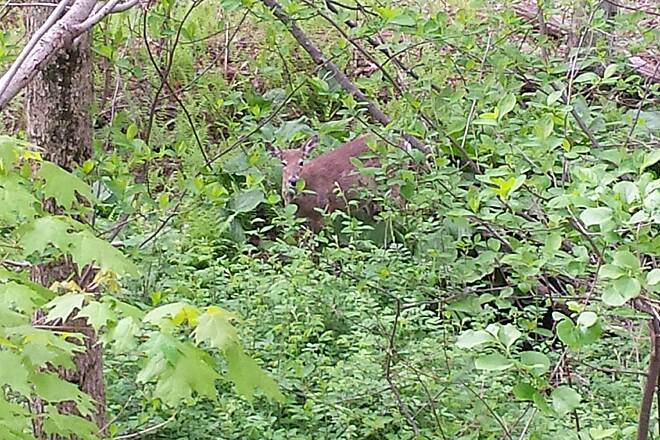 I also walked the trails off of Dart Hill the other day too. The description is a bit misleading. 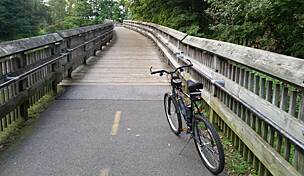 While this section of the trail is 4 miles, it is part of the Hop River State Rail Trail that runs for 19.3 miles from Manchester to Columbia, not including the four mile long Rockville Spur, which is discussed here. 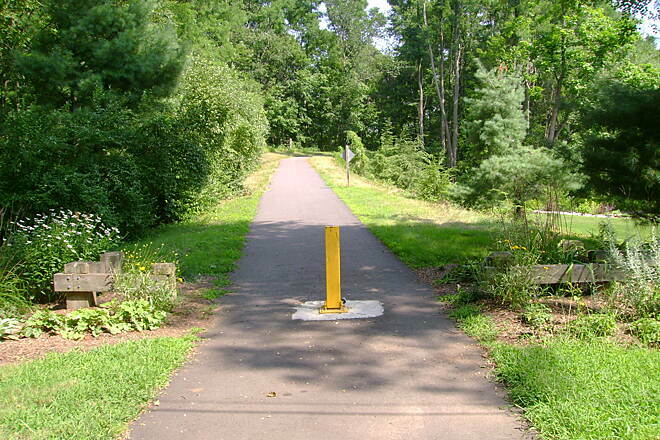 However it is labeled, this is an excellent trail to ride a bicycle. With the hard packed stone dust in this area, even a road bike can negotiate the trail, although a hybrid would be a better choice. Hi Folks, the work being done at the Tankeroosen cul-de-sac (see previous review) has been completed. Much nicer than its previous condition. 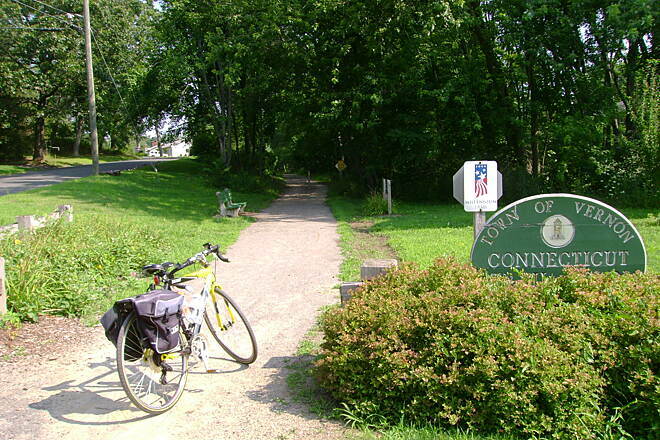 Vernon- The rails to Trails section from Route 30 south to Tankeroosen cul-de-sac will be closed as od Monday Oct 15, while work is being done. 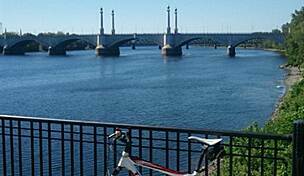 Mayor Ellen L. Marmer said work will be done on the interstate 84 bridge over the trail and will be closed until the work is finished. 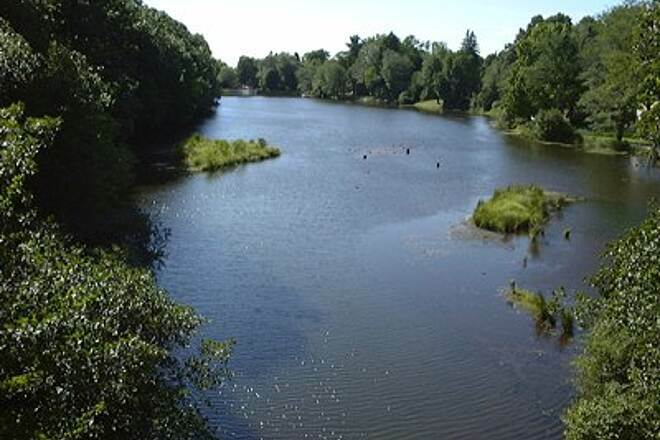 The state has awarded the project contract to Rotha Contracting Inc. of Avon, Ct. This note is a reprint of a newspaper cliping from the Journal Inquirer dated Oct 13, 2007, Page 4. "Crosswalks have been completed behind the Nye St Fire Station, Morrison Street, and Rau Street. I've measured the distance from Vernon Avenue to the trail terminus at Flanders Road, in Columbia, to be about 20.5 miles (one way)." A crosswalk has been painted on West Street. "It seems the crew at the Vernon Department of Public Works has been busy. 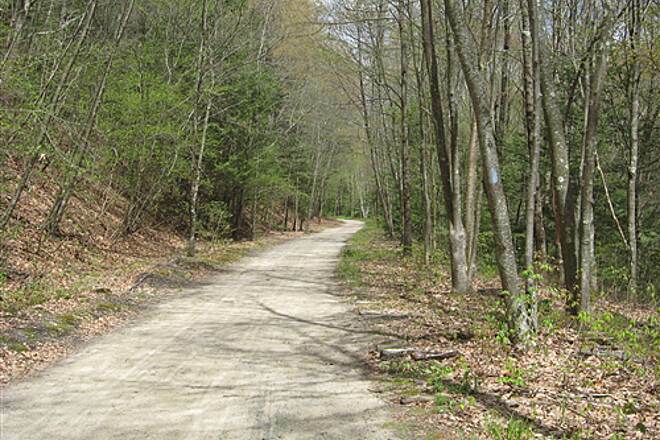 The spur from West Street to Vernon Avenue has been graded and is rideable with a mountain bike. There are no designated crosswalks at West, Morrison and Rau Streets at this time, so use caution when crossing. A government grant is being used for this work. Thanks to all involved. " 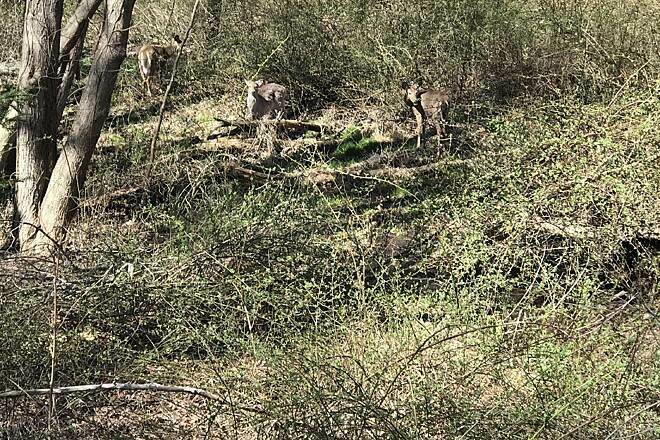 "Most recently, my wife and I used the Rockville spur for a walk and encountered two gentlemen who were clearing up some overhung branches, etc., on the spur. The two retired men volunteer their time and resources to see that the trail remains clear. We owe thanks to these local volunteers for their services and also to those who take the time to keep it clean." 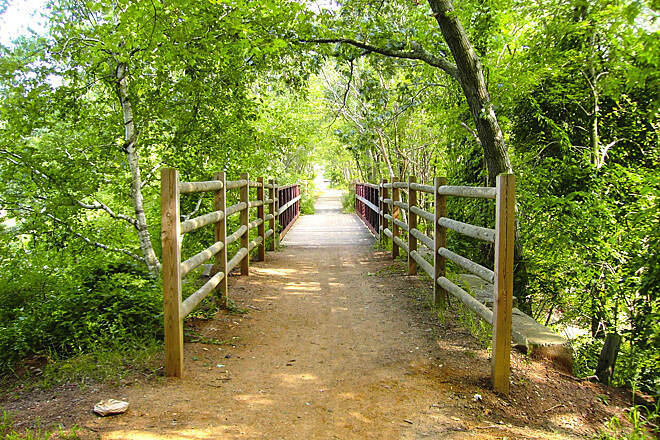 "On May 7, 2003, a public hearing was conducted by the Connecticut Department of Transportation regarding the replacement of the two deteriorating bridges crossing over the trail (the Rockville spur) at I-84. Look for that area to be impassable during these repairs, which should be done sometime in the next few years. 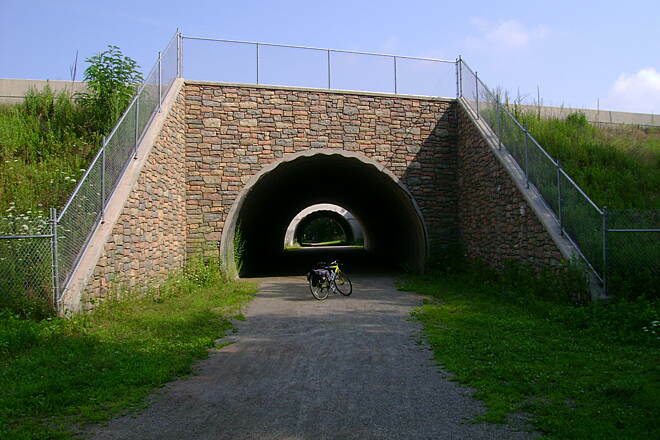 A culvert type tunnel is planned as a replacement for the existing bridges." 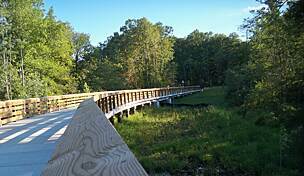 "A new footbridge has been added to the trail heading south from Bolton to Andover where there once was a short metal trestle. 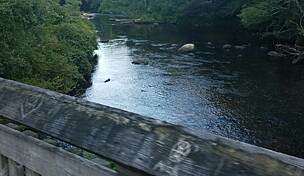 Those who've gone that far may remember having to steer right downward and then left up again to avoid riding over the risky little R/R bridge. 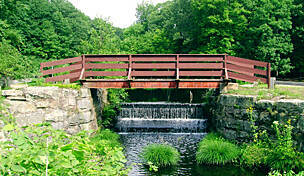 Now, there is a new wooden footbridge in place and thanks to those who've built the new addition for us. The Route 316 bridge has yet to be built. 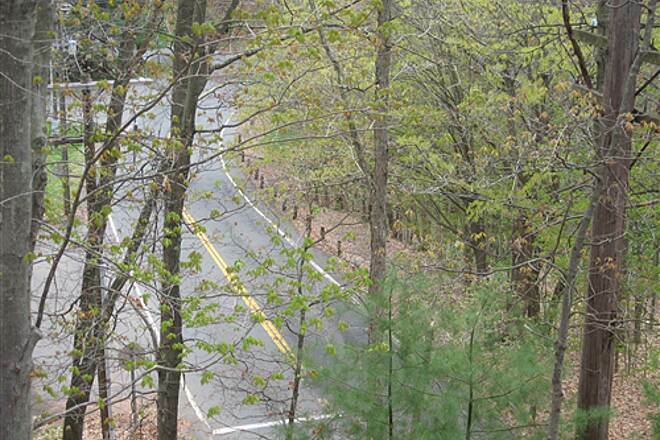 Going all the way towards Willimantic is a nice ride; however, be prepared for the unimproved surface past Route 316. 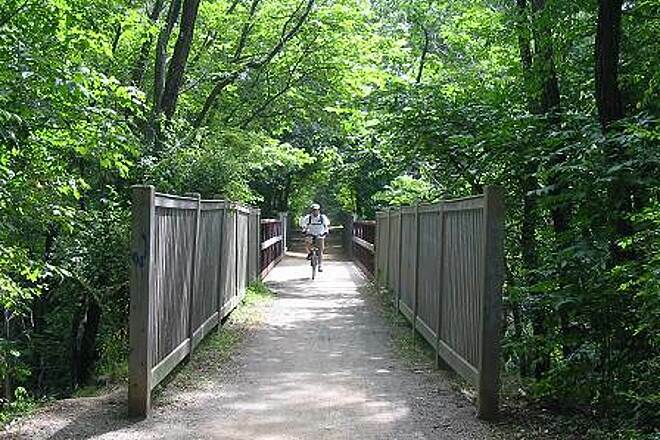 I would suggest that people only use mountain bikes on this segment of the trail." "I grew up in Vernon and remember the tracks. The actual Rockville spur is yet to be made improved, but the Vernon to Columbia bed has been worked. Nice place to go." Also, the portion to Rt. 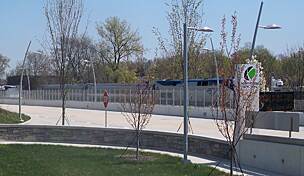 44, which last year was surfaced with large gravel, has been redone with asphalt. Very nice. Cya on the trails." 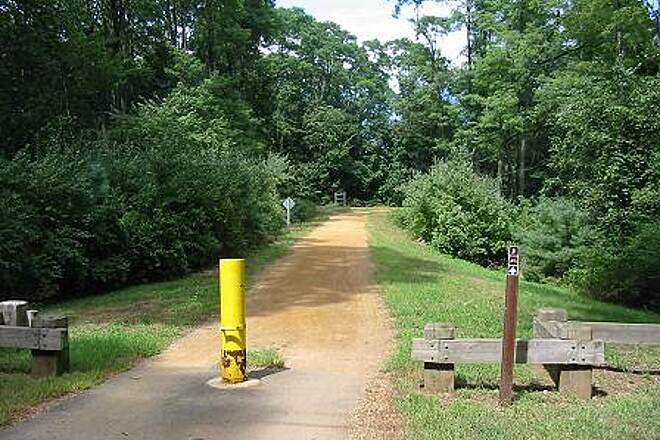 "Parking can also be found in Rockville by the fire station on Nye St. Drive behind the woodworking shop and a small trail will take you to West St. the ""end"" to the Trail. Although this is a ""milleneum Trail"", its a little disappointing. The trail was prety clean, no trail maps to be found. At the far southerly end the trail just stops. 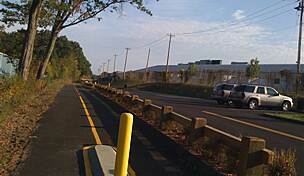 You can travel another 1/2 mile south to a parking lot by Sheldon/Colonial sts. The packed dirt/gravel is good for Hybrids/MBikes, no Blades, Just watch for loose sand/gravel. 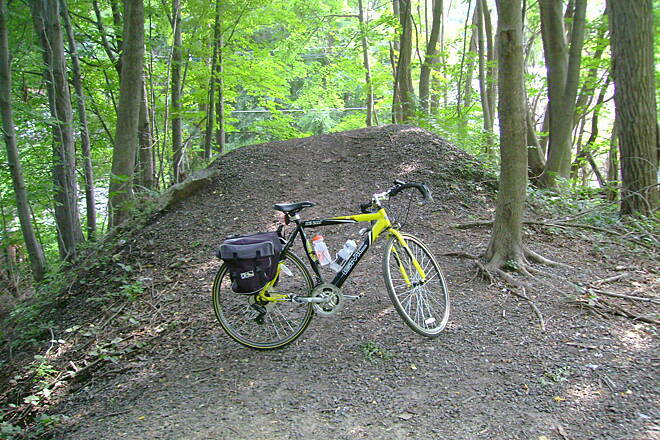 It u take the trail south to Bolton thetrail is dirt/gravel dust. At the end it becomes large gravel and the only bike to be used should be a MB. 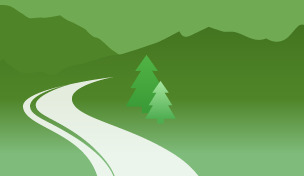 The whole area is great for hikers." 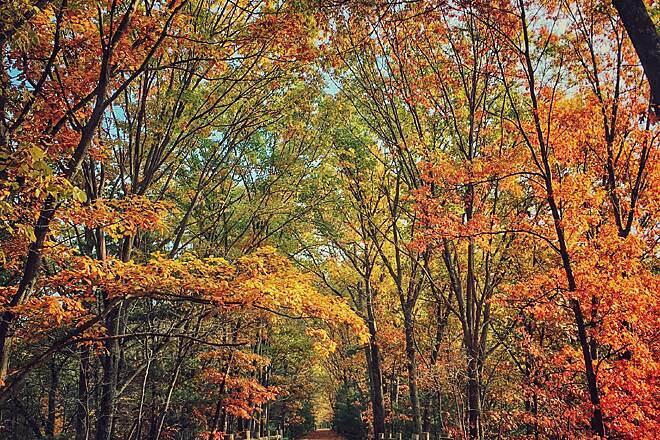 "This is an easy trail to bike, even my seven-year-old can keep up! We rode from Church street to Bolton Notch this fall - the leaves were turning and falling - just like being in an ad for LLBean!"